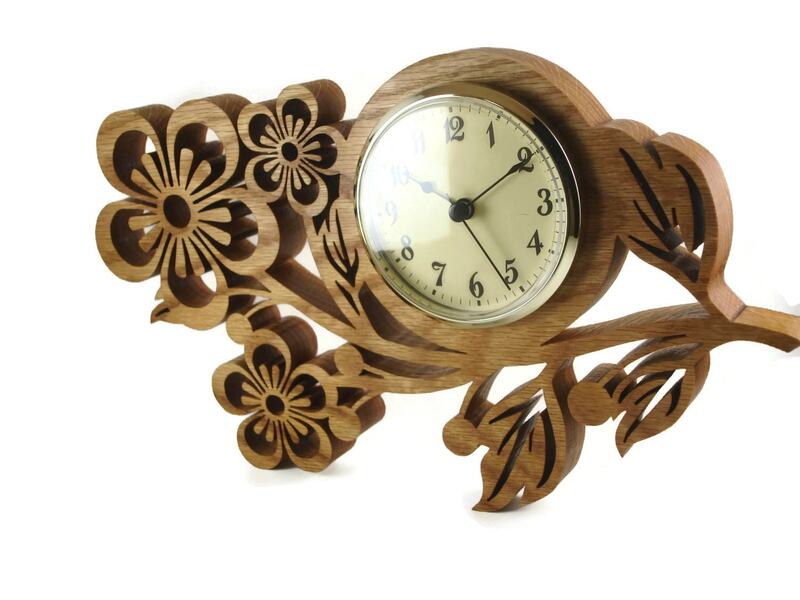 If you or someone you know loves flowers specifically Pansies then this pansies wall hanging clock is the perfect home decor type gift to get for yourself or that special friend. 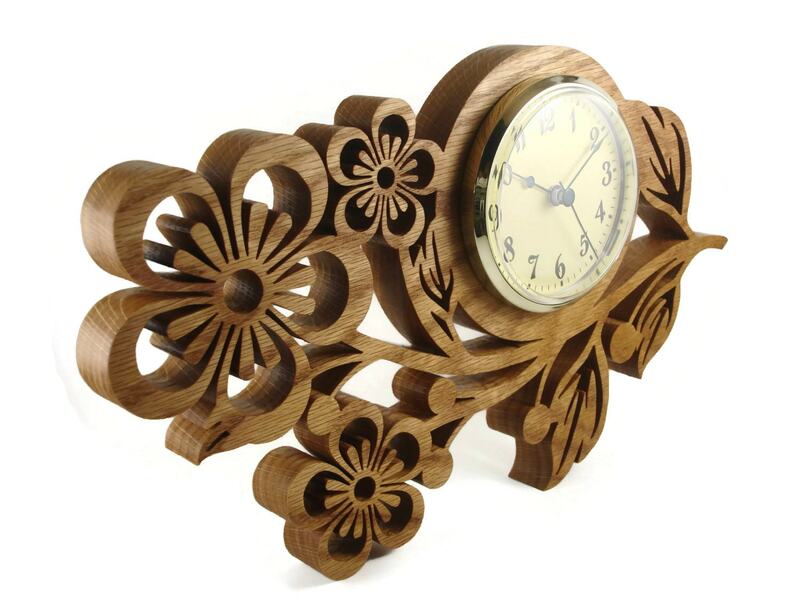 This wooden Pansie flower themed wall clock was cut from 7/8 inch Oak wood by hand ( handmade ) using a scroll saw. 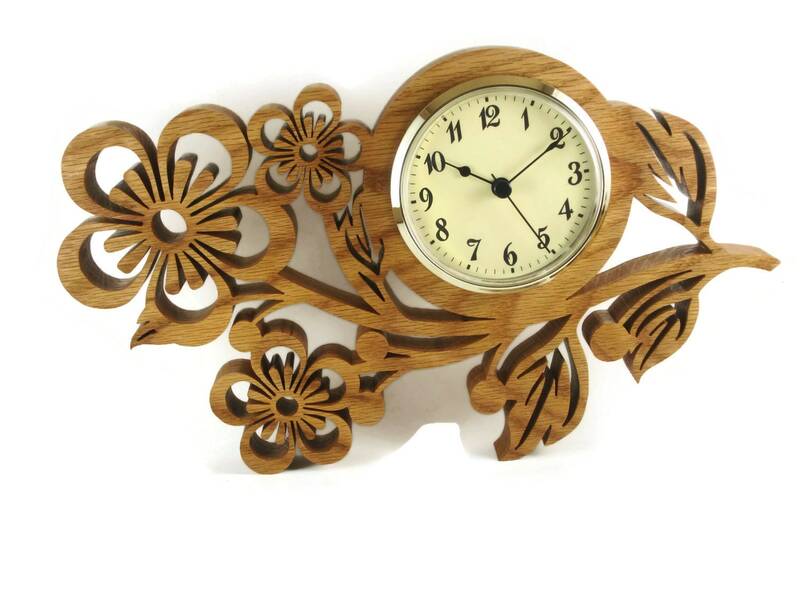 This pansies wall clock features three pansy flowers cut out. There is no hanger for this but can be hung up through one of the cutouts with a hook or nail. A non toxic all natural homemade bees wax and mineral oil finish was applied to naturally bring out the true and natural beauty of the Oak wood. 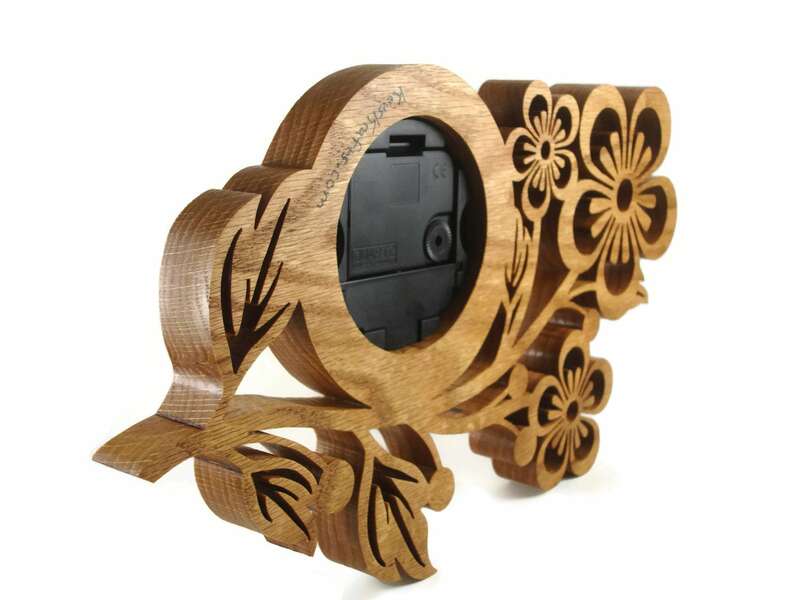 The 3 inch clock insert features a ivory color face with black Arabic numbers. A chrome plated bezel / trim. Clock runs on one AA battery. Battery not included. 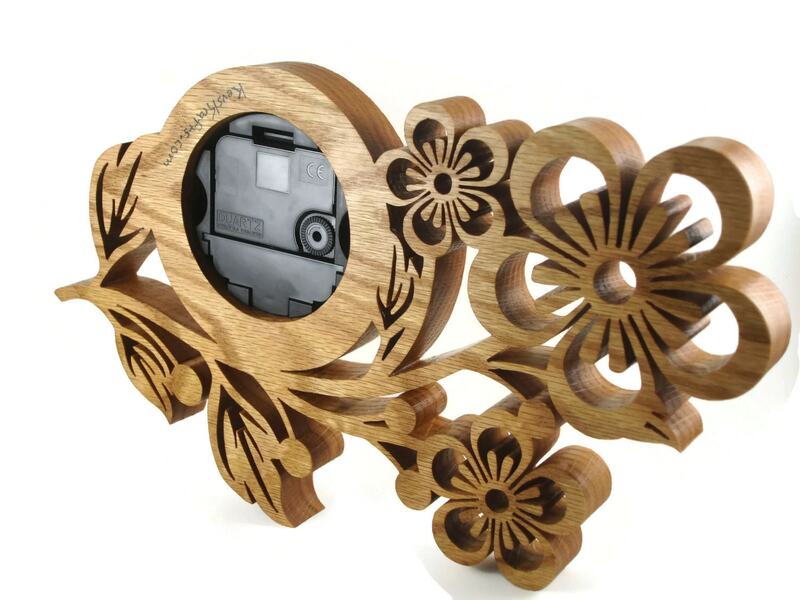 Clock can be positioned different than shown to have flower be vertical, horizontal or somewhere in between to hang it however works with your decor..